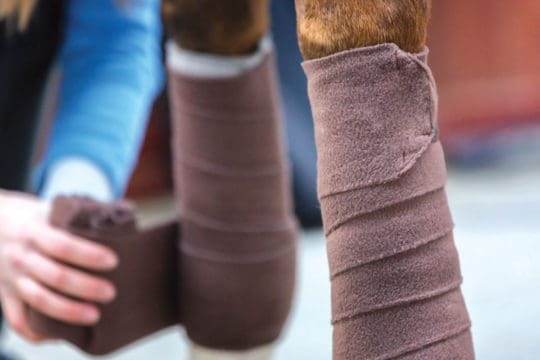 Whether you’re preparing for your horse’s first cross-country course outing, looking to sharpen up your technical skills before your next event or you simply don’t have consistent access to cross-country schooling facilities, there are plenty of reasons why you might want to bring your training sessions into the arena. 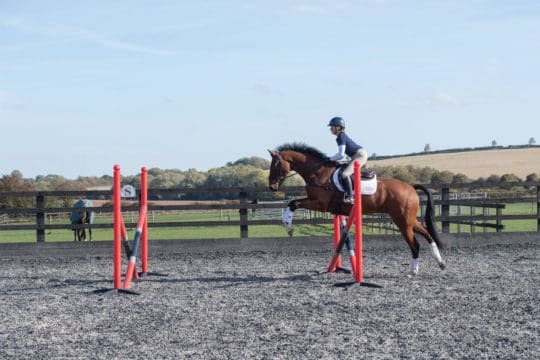 Practising the concepts of cross-country over showjumps is a useful way to develop boldness and build your understanding of technical questions. 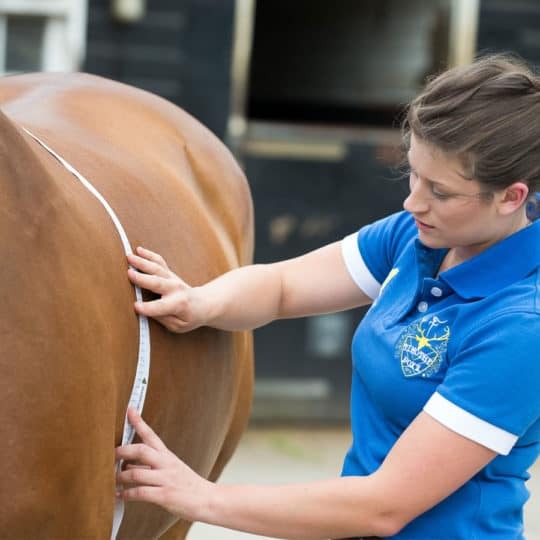 I like to use it as a precursor to the real deal with many of my horses. 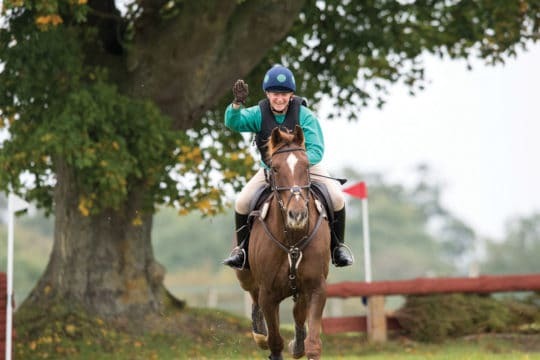 For cross-country to be as safe as possible and for quick, clean rounds, it’s crucial that your horse takes some of the responsibility for assessing and answering the question himself. 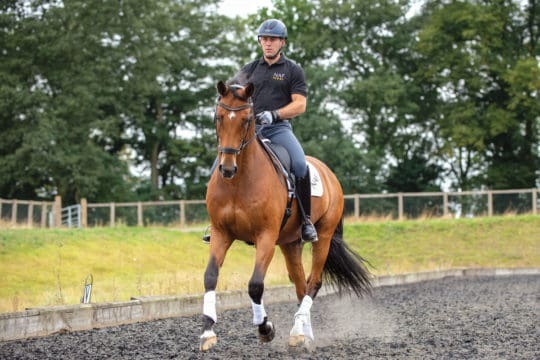 Your job is to make sure he has enough power in his stride and that he’s travelling rhythmically. Once you’ve shown him the fence, it’s his job to make it to the other side. 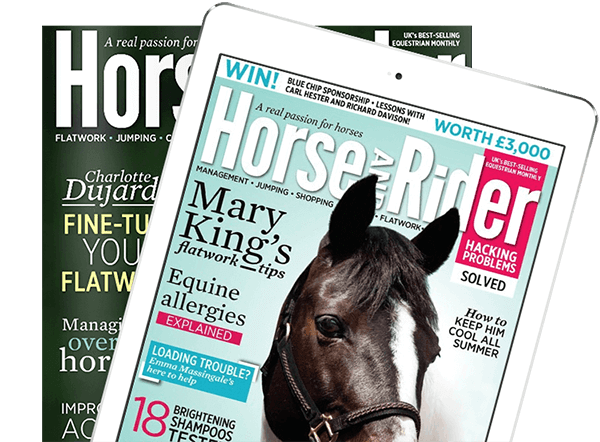 That’s why practising over fences that fall down easily is so useful – it gives you both the chance to build confidence in one another and in your own abilities, with much less risk. Start as small as you need to and build up to bigger fences once it all clicks into place. 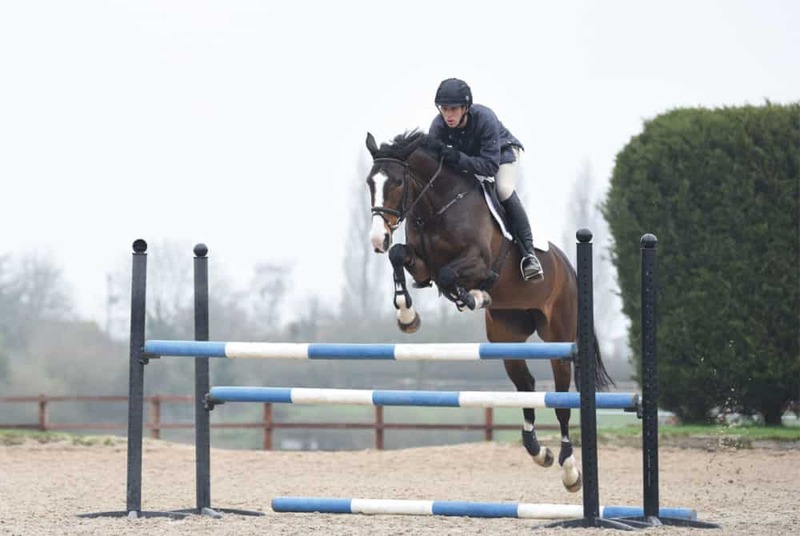 Oxer Any cross-country fence with some width to it falls into this category. 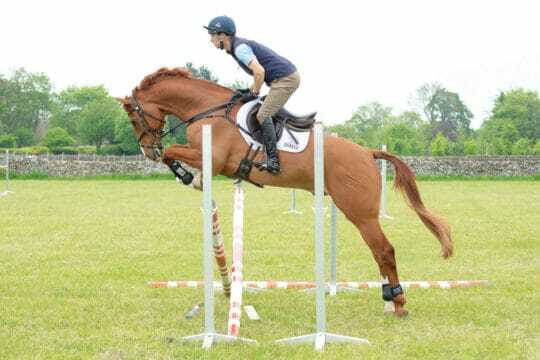 Oxers that are sloping or ascending can be ridden like steeplechase fences, as they have a wide margin for error. Upright This type of fence requires more set-up as you ride towards it, because it’s not quite as forgiving as an oxer and can often be paired with a drop or a change in terrain on the other side. Combination The most extreme type of combination you’ll find is a bounce, but practising over them makes the more common one, two or three-stride combinations easier. 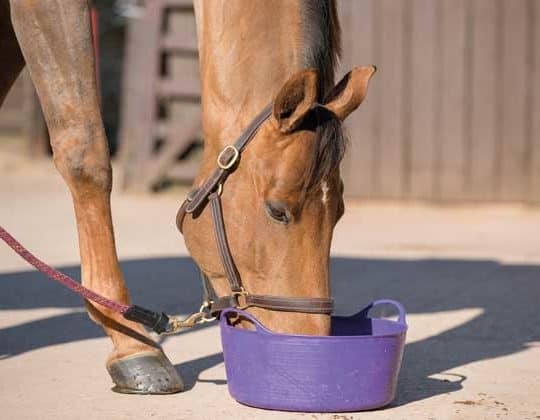 If you approach a combination too fast, your horse may only see the second element at the last moment, which can cause him to leave a leg or stop. Go too slow and he’ll lose the power necessary to propel himself off the ground twice. 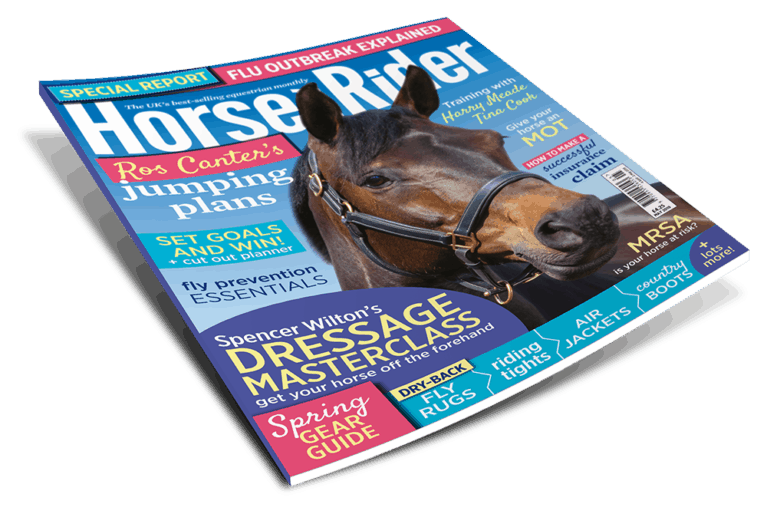 For more great advice from top eventer, Nick Gauntlett, pick up a copy of December Horse&Rider, on sale 18 October.